Additional sizes, colors and accessories available. Infinitely Adjustable (front to back) 10-32 Tapped, Zinc Plated, 10-gauge Steel, Panel Rails. 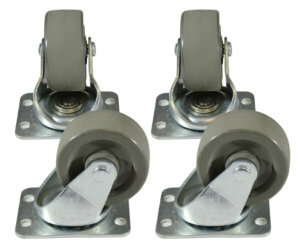 Rack ships with 2 pair included, shown here mounted to Amhal Strut. Gland Plate Opening For Easy Wiring Access. 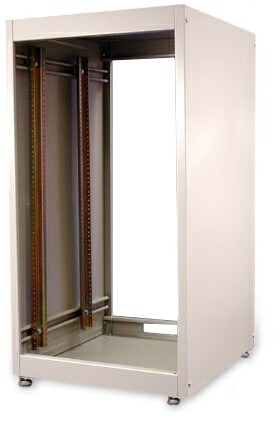 Bottom, rear of rack – 1.5″ high. To both the top & bottom (shown). 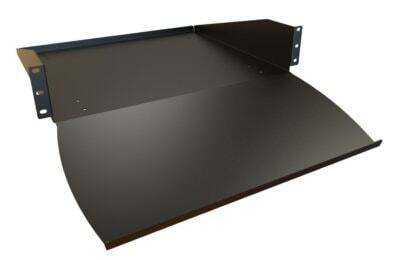 Allows easy rack mounting of narrow equipment or items that do not have rack mounting capabilities. 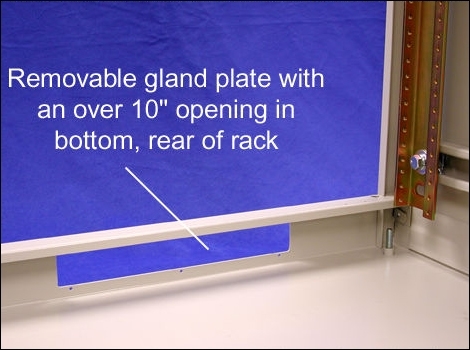 Mounts to rack rails using 3.47″ (2U) of vertical rack space. Rear lip to reduce chance of equipment being pushed off rear of shelf. 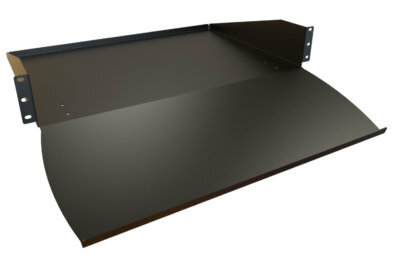 The new ergonomic designed keyboard tray, supports a full-size keyboard. Finished in rugged textured black powder paint. Tested to nearly double the suggested load rating of 100 lbs (45 kg). 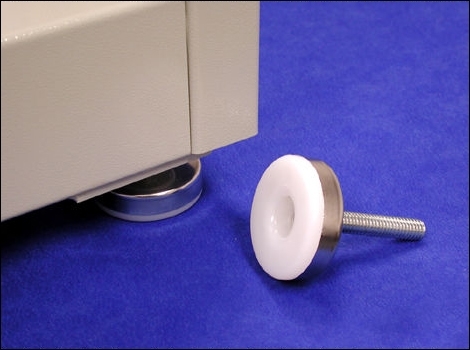 Features ball bearing swivel and hard composition wheels. Wheels are gray in color. Caster set has a weight capacity of 800 lbs. Shipped in a flat pack container for handling ease & protection. 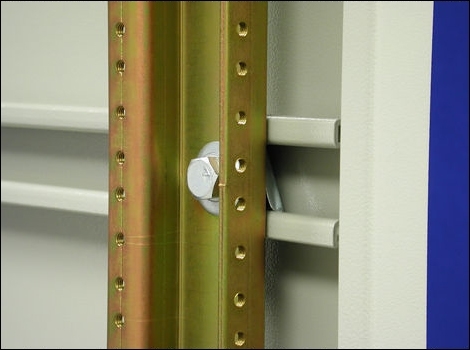 Perfect for tight access areas or 1 person installations. 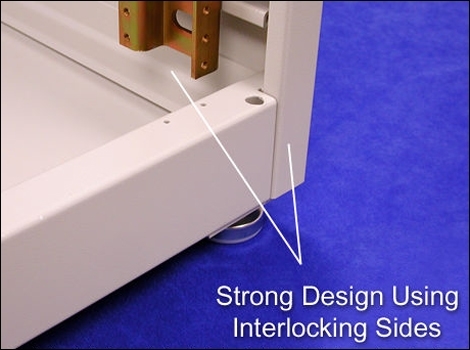 Rack is knocked down into 5 easy to handle parts (ie…two sides, top, bottom and a pack of 4 panel rails.